We have been working on onager (a catapult ) and today we are testing it against the Trebuchet. We are showing you the differences and the similarities below. We have noticed a difference that the onager goes faster but lower. 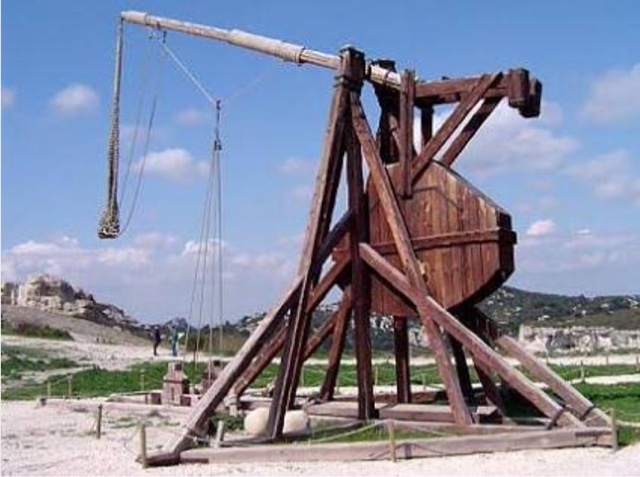 The reason why that it is might be because the onager is smaller but it has more power than the trebuchet. The onager also has a lower arch so it goes more powerful, but it doesn't go as far as the Trebuchet. We wonder if the onager in the old days was used for close-range battle. We have also notice that the onager takes less time to fire the projectile than the trebuchet. We think that the trebuchet takes longer because it has a longer arm so it takes more time to fire the projectile than the onager. 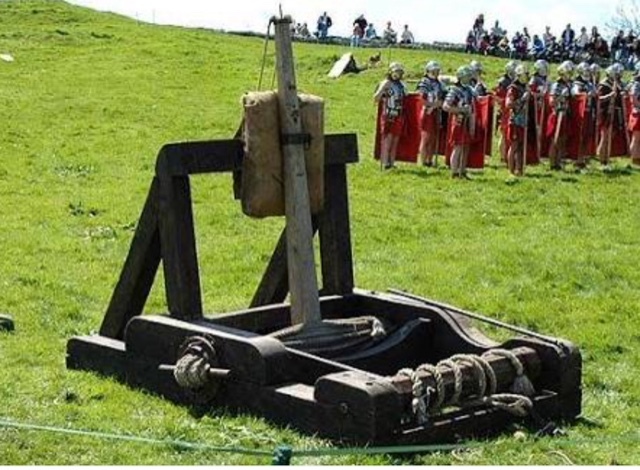 We wonder what would happen if the onager was the same size as the trebuchet. This is a rope on the onager that makes it have so much power. The onager has a twisted rope making torsion, that makes the ropes want to in twist really fast when the person pulls the rope. We have an example just above. We wonder how they invented this type of idea to make the onager a better machine. Overall we think that the trebuchet is better for long distance or to break down walls and the onager is better at close range battles or to break down the enemies walls at close range. This is a full size onager.